Volunteers on the read at CPH Airport train station. 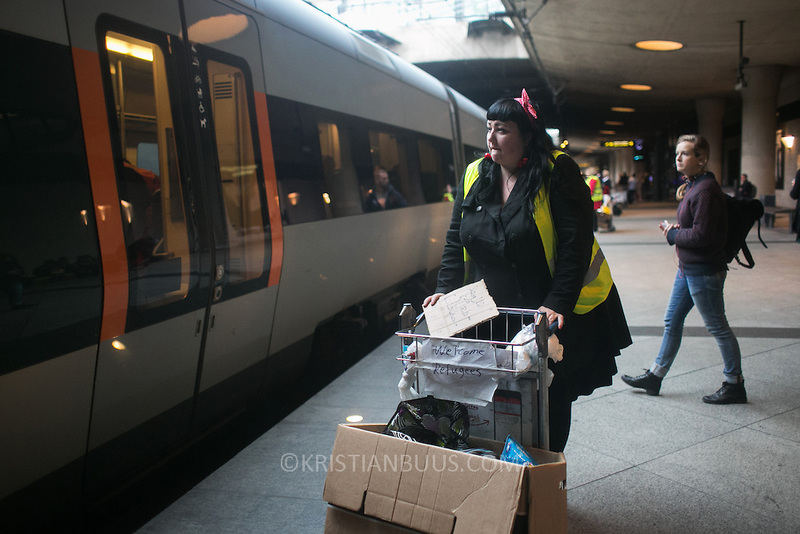 The train only stops briefly on the way to Sweden and the volunteers try to supply refugees on board with food and drinks in the short time they have before the doors will shut again. An unprecedented number of refugees arrived from Germany in early September, most being Syrian war refugees, some from Afghanistan. Most wanted to travel on to Sweden and a number of Danish citizens created a spontanious network to assist the refugees with travel, food, clothes and psycological support.